A fantastic, evergreen, twining climber, with handsome, long, lance-shaped leaves that will cloak a wall or fence within a few seasons. In early spring, it’s smothered in fragrant, four-petalled, star-shaped white flowers and the new leaves are bronze-tinted. Plant near a doorway to enjoy the scent, and give it plenty of room to spread out. Garden care: Clematis armandii prefers its roots to be in cool, moist, well-drained soil, so plant deeply in a shady spot and water well. Mulch around the roots each spring with well-rotted garden compost or manure. This clematis does not like cold winds, so choose a sheltered spot in the garden.This plant is toxic to dogs if eaten. I would recommend this product and this company! Great plant for covering my unsightly shed! What is the best time of year to plant this clematis? We've just cleared our overgrown garden and are planning on growing this over an ugly garage. Hello there As a general rule fully hardy plants that are grown in containers can be planted at any time of year as long as the soil isn't frozen solid. The best times are in the autumn when the soil is still warm enough to encourage root growth but the plant isn't in active growth, or the spring before the temperatures start to rise. However this clematis is not fully hardy, it is only frost hardy so unless you are planting it in a very sheltered spot, and the ground isn't frozen or freezing outside I would wait until the spring now. Hi, we're looking to buy a climber to cover a corner of our two-story home. We currently have honeysuckles, but they are not evergreen and their foliage is very bare. Would this be a good evergreen alternative? Our corner is East/North East facing. 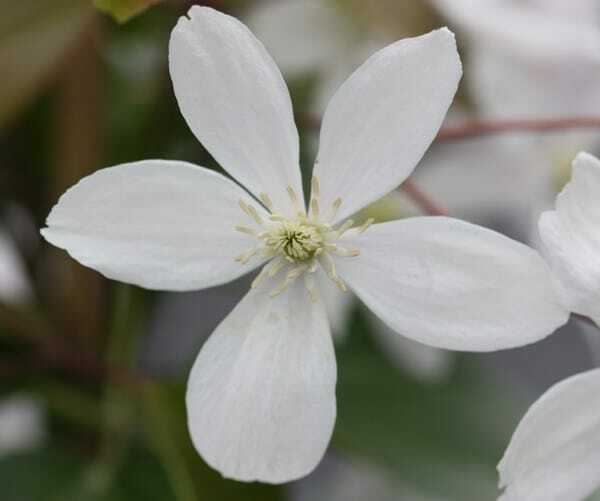 Also, I wanted to know the difference between Clematis Armandii and Clematis Armandii Snowdrift? Thank you! Hello, These plants will tolerate partial shade, however they will flower best in a sunnier spot, so while they will offer year-round foliage (if the spot is reasonably sheltered and not too dark), they wont put on a dazzling display in spring. As for the difference between these two Clematis, the main one is the flowers. 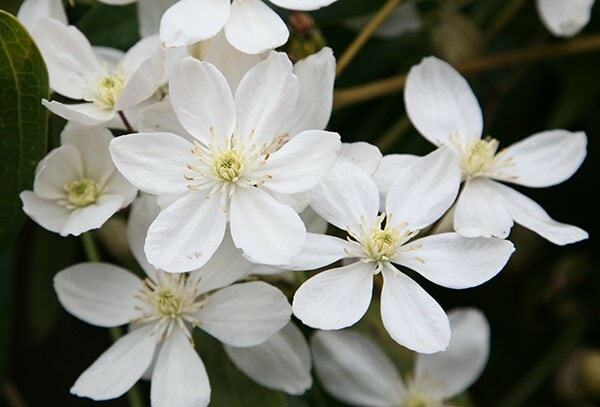 The petals of 'Snowdrift' are slender, so give the flowers a lighter, almost star-like appearance. I have a clematis armandii trained a cross south facing fence. However despite producing abundant green growth and leaves, it has never flowered in the four years it has been there. The growths that look like possible buds never open. any advice please? Green fingers surrey. 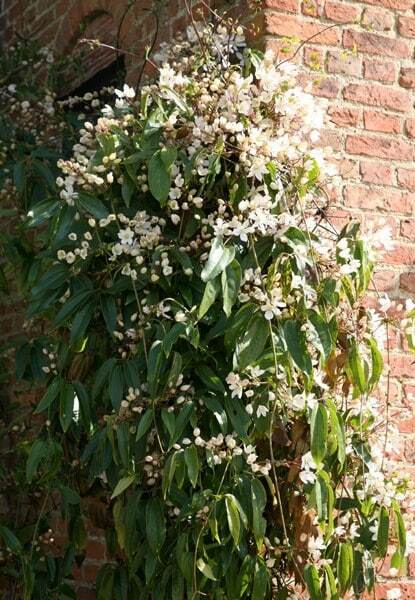 Is clematis armandii a suitable climber for a north facing 6' fence, or would it be too vigorous height-wise? There is plenty of room horizontally.